Latest Salesforce Jobs in India: We are looking for “Salesforce developer” with 3+ years’ experience. We are looking for “Salesforce developer” with 3+ years’ experience. BETSOL is a US based IT company based out of Denver, Colorado. The India operations were started in late 2012 with Bangalore as its headquarters. We do custom software development, enterprise data architecture, network engineering and operations, quality assurance and technical support. Over the years we've built a solid team of accomplished professionals who bring varying backgrounds and skills to expand the creative potential of the company. This significantly contributes to the quality and reliability of our services. Our specializations and experience ensure that that we consistently deliver superior services and products to our customers. You can visit www.betsol.com for more details. Our net promoter score is twice the industry average and we continue to grow based on the quality of our work. Good Experience in Apex Language, Visual force Pages, Apex Test Methods, Visual force Components & Controllers. Experience in Software Development cycle with good exposure to Salesforce CRM, Salesforce Sales Cloud, Customer Portal and Integration Implementations. Strong knowledge in Triggers, Workflow rules , Custom Objects and Standard Objects. 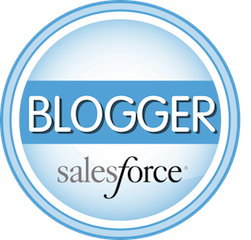 Salesforce Certification in preferred but is not mandatory. If interested please share your updated resume to priyanka.betsol@gmail.com. Thanks for sharing; Salesforce crm cloud application provides special cloud computing tools for your client management problems. It’s a fresh technology in IT industries for the business management.